Mid Coast Hunger Prevention Program provides food assistance to people in need in Brunswick and surrounding towns. 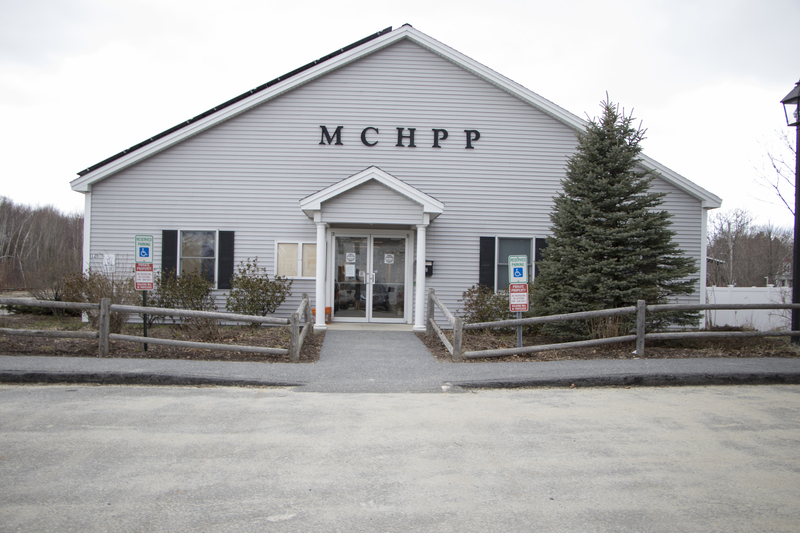 Behind Hannaford, a five-minute walk from Bowdoin’s campus, sits the primary facility for Mid Coast Hunger Prevention Program (MCHPP). The nonprofit, which handles over a million pounds of food each year, combats food insecurity—a perpetual and growing issue that affects over 200,000 Maine residents each year. Karen Parker, executive director of MCHPP, said that over the past five years, the organization has seen an eight to 10 percent increase in its client base each year. 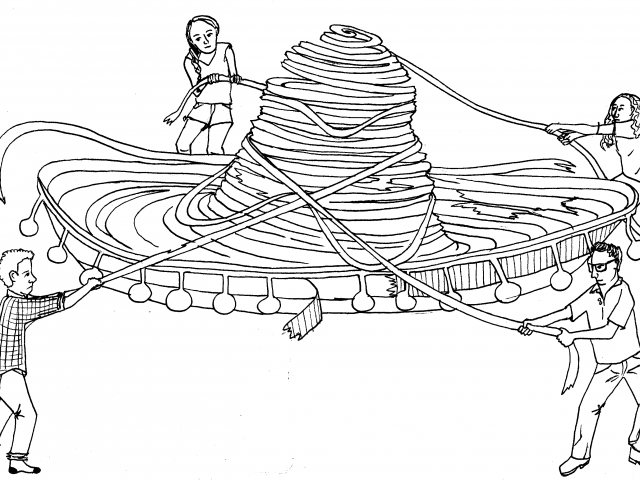 She attributes this rise to both an increased awareness of MCHPP and the services it offers and the persistent problem of food insecurity in Maine. When MCHPP studied the issue in 2016, it found that one in 10 Brunswick residents had used its food pantry that year. The United States Department of Agriculture (USDA) defines food insecurity as “a household-level economic and social condition of limited or uncertain access to adequate food.” The USDA found that food insecurity was prevalent in 16.4 percent of Maine households between 2014 and 2016, the most recent dataset. Only six states had a higher prevalence of food insecurity, according to the USDA’s report. Moreover, the figure represented an increase from 15.1 percent in 2011-2013 and 12.9 percent in 2004-2006. Nationally, food insecurity spiked in the aftermath of the 2008 recession. But most of the country has seen a decline since then—Maine is one of just 14 states that experienced an increase between the most recent measurement periods. Within Maine, rates of food insecurity are highest in Washington and Aroostook counties, according to a 2017 study by the Good Shepherd Food Bank and Preble Street. Cumberland County, which includes Brunswick and Portland, had a food insecurity rate of 13.8 percent, but had the highest number of food insecure people of any Maine county at 40,330. Meanwhile, Maine’s unemployment rate has been declining steadily since 2010. In Cumberland County, it hit 2.4 percent in February 2018. 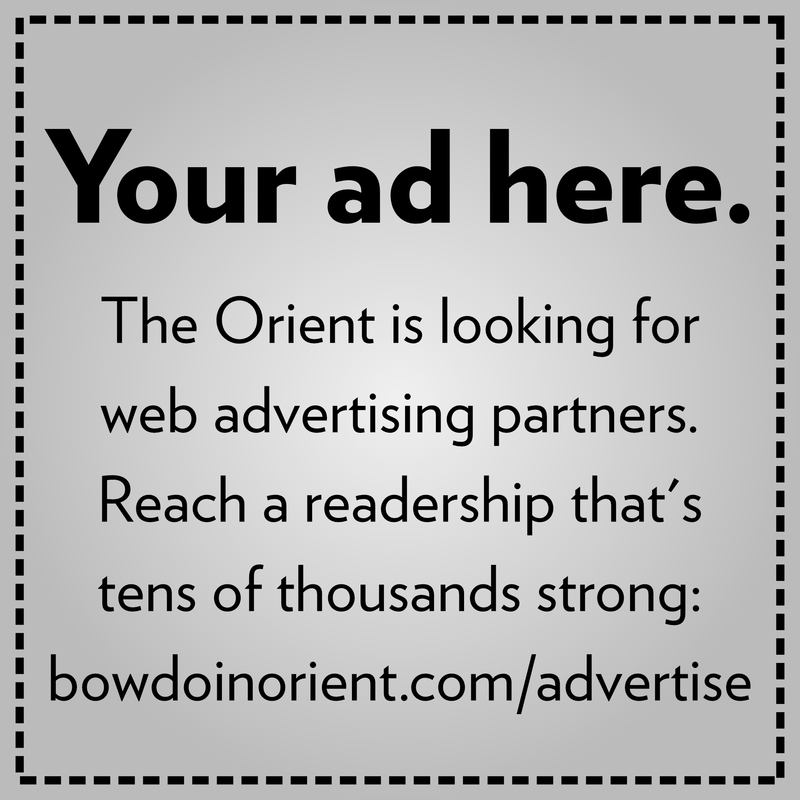 Employers, including Bowdoin, have remarked on the difficulty of finding and hiring workers. Unemployment remains low even after Maine voters elected in 2016 to raise the state’s minimum wage, which now sits at $10. However, higher rates of employment have not resolved the issue of food security and have even introduced new complications. In March, MCHPP added evening food pantry hours designed specifically to accommodate clients who need food support but also hold day jobs. “What we are finding is that more and more of the people that we are serving are working, so their work schedules make it really difficult to access our food pantry during the day,” Parker said. She noted that many employment opportunities in Midcoast Maine are service jobs, which don’t pay well enough to prevent food insecurity. 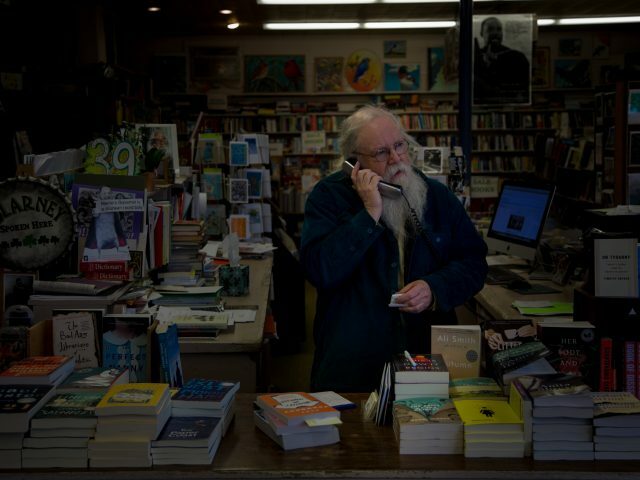 Even an employee who works 40 hours a week at minimum wage, for example, has an income of about $20,000 a year, which is below the federal poverty line for a family of three. -Transportation remains a barrier for food insecure people seeking assistance. MCHPP serves Brunswick as well as surrounding towns including Harpswell, Bowdoinham, Durham and Lisbon—a considerable trek. 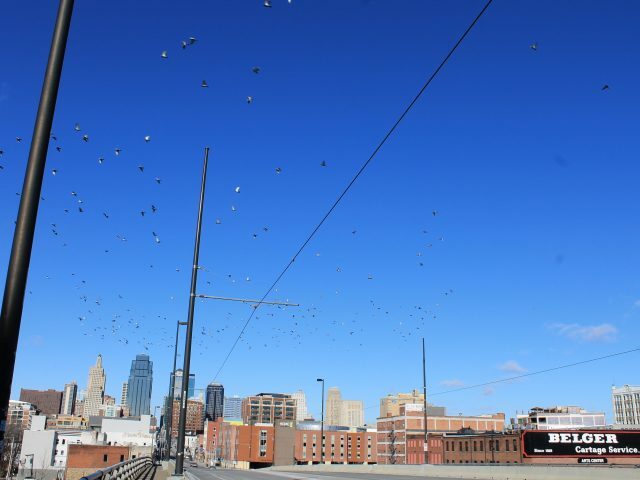 “There’s a lot of people that don’t have reliable transportation. They are 10, 12, 15 miles away, so it’s really hard for them to get here,” Parker said. MCHPP distributes food from a mobile unit on a monthly basis in Harpswell, but struggles to find central distribution locations in other parts of Midcoast Maine. The organization does home delivery for medically homebound patients in the area. 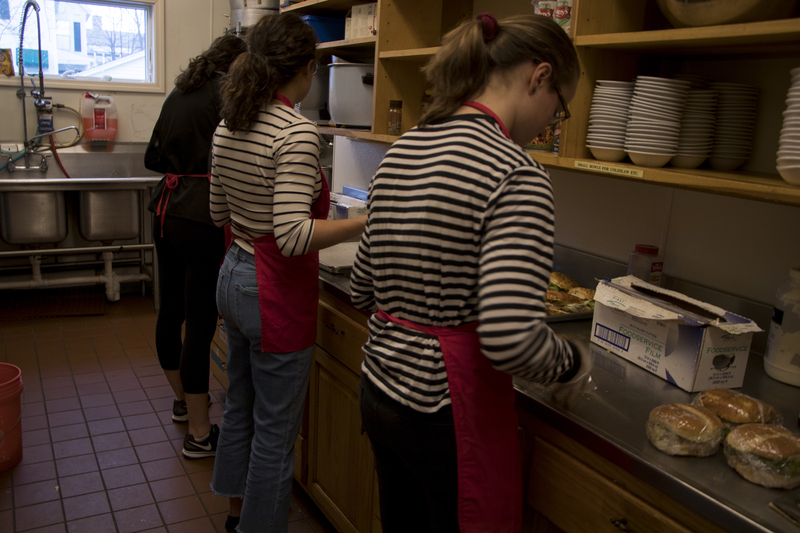 Several Bowdoin students help prepare food at MCHPP. Another MCHPP program is the Summer Food Service, which serves lunch to students who would typically be receiving free or reduced meals during the school year. Last summer, the program operated at 10 sites in Brunswick, Topsham and Lisbon. Latif Armiyaw ’18 worked with MCHPP and the Summer Food Service program last summer while on a fellowship from the Joseph McKeen Center for the Common Good. One of his work sites was Perryman Village Family Housing—a public housing development near Cook’s Corner, three miles from Bowdoin’s campus. “I always thought about people going to Ghana or leaving the U.S., and going and visiting Perryman Village for the first time made me realize that you don’t really have to go that far to help people who are in need,” Armiyaw said. Armiyaw got his first exposure to food insecurity in Brunswick when he volunteered at MCHPP with the football team. MCHPP is a common volunteer spot for many Bowdoin sports teams. Dave Berlin ’19 volunteered at MCHPP with the men’s water polo team when he was a first year. “I was really shocked that we at Bowdoin have the best dining hall food in America and just two minutes off campus there’s people that are dealing with food insecurity. And not just a couple people,” Berlin said. His sophomore year, Berlin started volunteering with Food Forward Volunteers, which brings leftover food from Bowdoin’s two dining halls to MCHPP most days of the week. He has found the experience eye-opening. 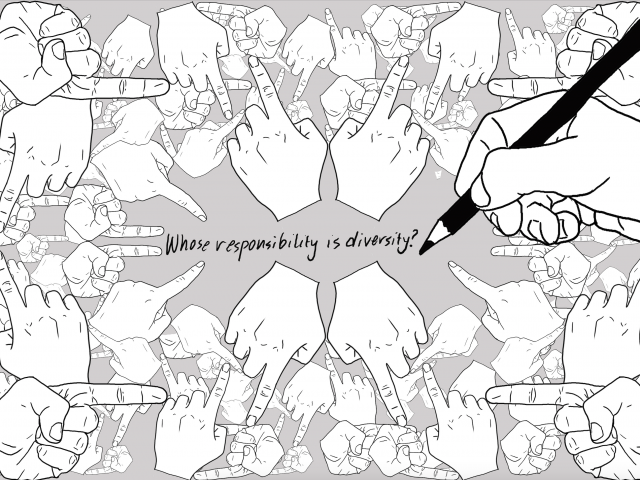 “We have so much privilege, and for the most part we’re just blind to it,” Berlin said. Bravo Bowdoin Orient Staff and Bowdoin studentsfor reporting on this issue and for volunteering. You are makng a difference!